With this sweater, the gentlemen feel good. Brand Fisherman Out Of Ireland, it is made of 100% pure new wool. It is worn in all circumstances and blends perfectly with casual or formal wear. Vertical ribs are knitted to the edges. A zippered starts from the chest and ends at the top of the collar. To make the neck more comfortable, it is composed of a double thickness of wool. 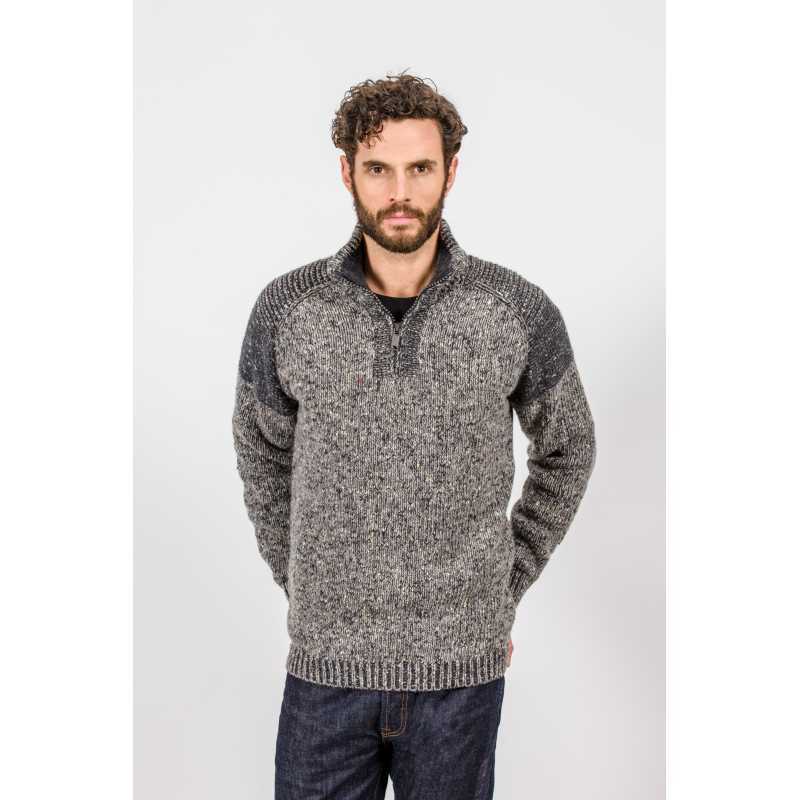 Fisherman Out Of Ireland plays with the nuances and still makes a distinction: this sweater is original by its darker shade of the base of the neck to the shoulder and much darker at the shoulder.